Germany, too, was invaded, even in the west, for all that it was the aggressor there. French troops entered Mulhouse in Alsace and posed a danger to Freiburg. In southern Bavaria the wives of some reservists, left at home without their men, killed themselves rather than confront vengeful French soldiers. To the east, in August the Russians threatened to overrun East Prussia up to the line of the Vistula. The image of the Cossack, ruthless, unprincipled, and above all uncivilised, had a pedigree which stretched back to the Russian army’s occupation of Paris at the conclusion of the Napoleonic wars. Germany was not just defending itself against invasion but defending Europe against barbarism. Bloch’s correspondent, Rolland, saw the German point of view. In October he declared that Prussian imperialism was ‘the worst enemy of liberty’ and a ‘barbaric despotism’. But he acknowledged the glories of German culture and appreciated that tsarism could be construed as a threat to it. Recognising his own desire for an Entente victory, he retired to Switzerland rather than compromise his objectivity. 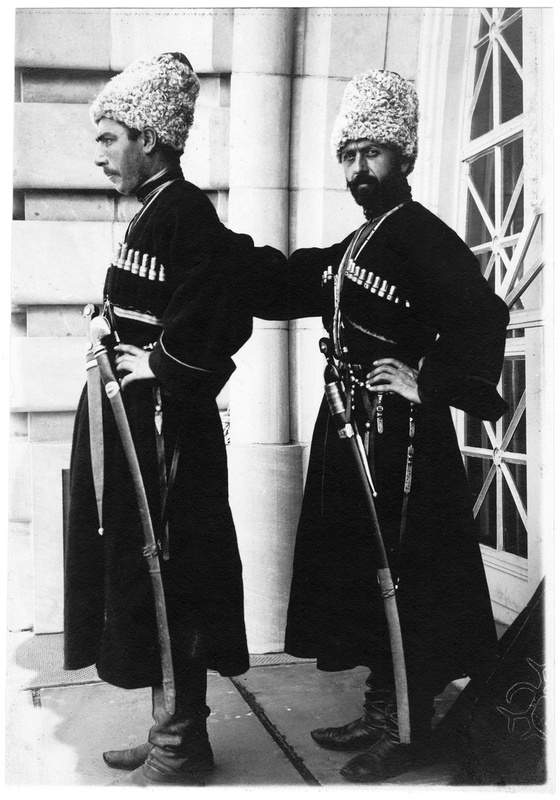 Imperial Russian Army – Cossacks each wearing 1910 model Papakha hat with wool top. Thus, as men adjusted to the idea of war, their nations became vehicles for broader ideologies. Britain, alone of the original belligerents, was not invaded. In a speech at the Guildhall in London on 9 November 1914, the prime minister, Asquith, explained his country’s involvement in the war not in terms of its own strategic and imperial interests, but through the German invasion of Belgium and the protection of France from aggression. Britain was fighting to uphold international law and the rights of small nations; its enemy was Prussian militarism, embodied in the Kaiser himself. The French government used the vocabulary of the French Revolution and the Terror to mobilise the nation: it was fighting for the legacy of the revolution in terms of democracy and political rights. But, in doing so, it incorporated the right and the Catholic Church. Joan of Arc became an icon for all France. God would protect France as He had guided Joan. Before the war the socialist Jean Jaures had been criticised by the radical right for his internationalism and his advocacy of a pure citizen army. But when he was assassinated by a solitary maverick on 31 July 1914, his death became symbolic for the right as well as the left. This was a Jaurèsian war: a war of national self-defence. 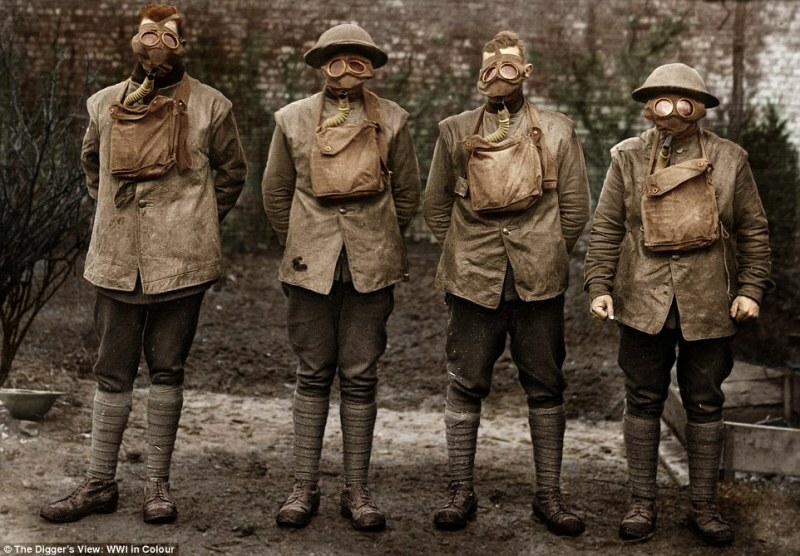 Australian troops are pictured in ‘The Digger’s View, WWI in Colour’, wearing protective gas masks. Both Britain and France were defenders of the status quo. Germany said it stood for progress and change. 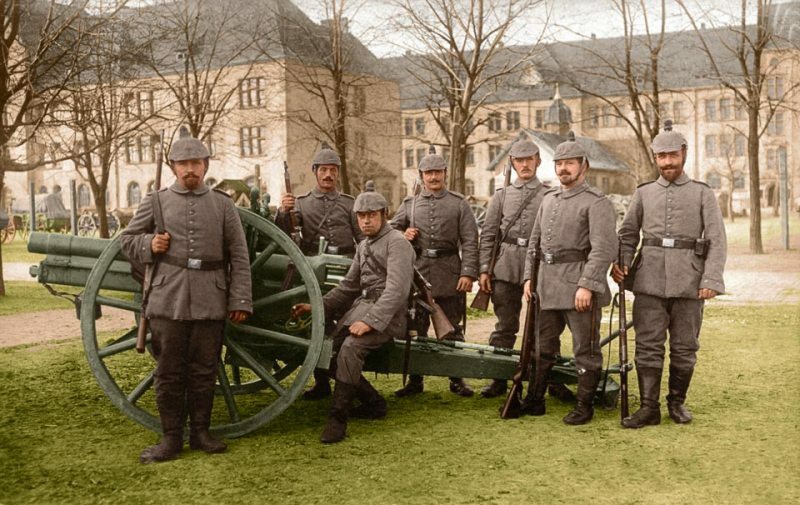 On 16 October 1914 over 4,000 German academics signed a manifesto identifying German culture with Prussian militarism. The outbreak of the war in 1914 marked the end of the ‘long’ nineteenth century, which had begun with the French Revolution in 1789. In its stead would be erected a set of values which elevated the heroic spirit over the materialism of capitalism and the mediocrity of political liberalism. A German Jew, Nachum Goldmann, in Die Geist der Militarismus (1915), described the military spirit as the means to human progress because it combined equality of opportunity with the advantages of a meritocracy. On 9 August 1914 another Jew, Walther Rathenau, of the German electronics firm AEG, was put in charge of organising raw materials for the purposes of war production by Falkenhayn, the minister of war — an extraordinary step for a Prussian officer to take. Rathenau postulated a new form of economic organisation which would combine the best features of capitalism with those of collectivism in a managed economy. ‘The German eagle’, Paul Natorp wrote in 1915, ‘is not like the bird of Minerva, which, according to Hegel, first begins its flight at dusk. We signify the morning chorus of a new day not only for Germany, but also for mankind.’The sociologist Werner Sombart wrote a book called Händler and Heiden (Traders and Heroes) in 1915 in which he interpreted man as living two lives — one superficial and the other spiritual — and described life as a continuing struggle to pass from one to the other: his heroes, the Germans, were those who freely responded to the call of duty and willingly sacrificed self. 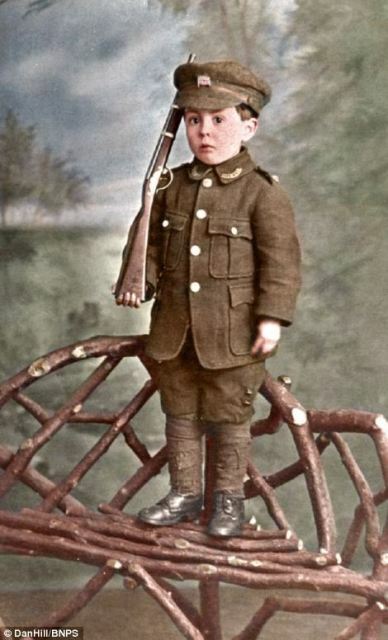 Young Rowland Hill poses for a photograph in 1914 – such pictures were common at the outbreak of the war when patriotism and national fervour swept the country. This was a great war because it was a war fought over big ideas. What had begun in the Balkans and had been originally driven by issues of ethnicity and nationalism was now clothed with principles whose force lay precisely in their claims to universality. In due course these ideologies became the basis of propaganda, but that could only happen because they expressed convictions with which the belligerent populations could identify. They were deemed to be so fundamental that they sustained the war despite both its length and its intensity. The peoples of Europe fought the First World War because they believed in — or at least accepted — the causes for which their nations stood. It was emphatically not a war without purpose. 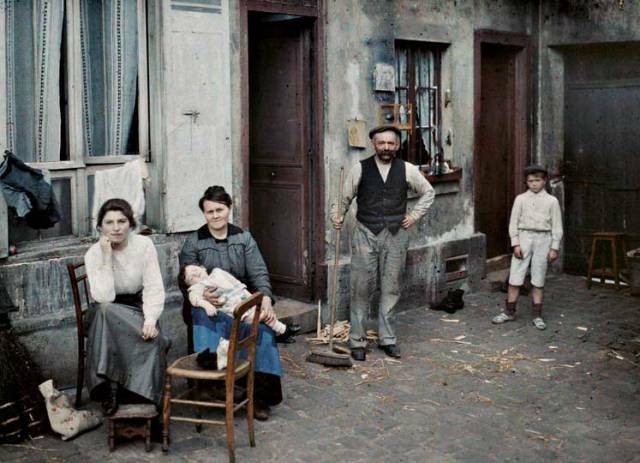 The photographs of August 1914 suggest a party mood. But those were brave faces put on for the cameras. 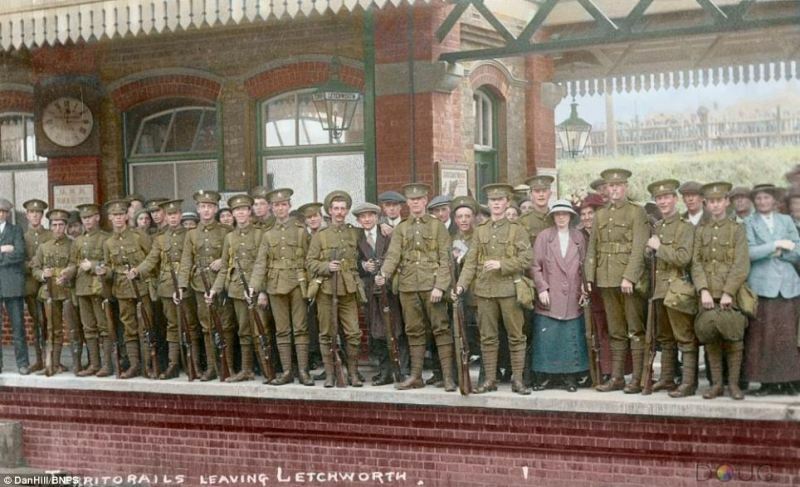 Most reservists called up on mobilisation in August 1914 left their families and jobs with reluctance. They went because it was their duty. They consoled themselves that they would be back home soon: before the leaves fell as winter set in, and certainly in time for Christmas. It is here — in the fantasies of peasants and clerks, shoehorned into uniform once more — that the idea that the First World War would be short took hold.